Be-Do-Have-Abundance... If you are visiting Coaching Leads To Success for the first time, welcome! 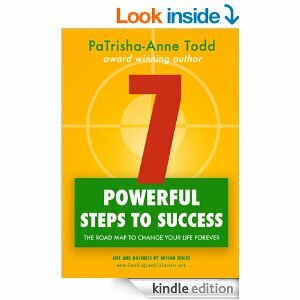 The book 7 Powerful Steps For Success explains how you can harness your spirituality and transform your lifestyle with positive coaching. Soul Coach - the power of a positive mental attitude. Read how you can breakthrough your limiting beliefs and craft a lifestyle by your own design. Oftentimes I am asked; "what vision have you got for the rest of your life?" Today I'm not going to share my reply with you all, instead I'm asking you - "what visio have you got for the rest of your life?" I think it's important to have an idea what you'd like to accomplish and how you'll go about achieving the vision of your life.